As most of you know, I spent last weekend at the Grand Prix Of St. Petersburg. Three days of petrol fumes, fast cars (and trucks), and over-priced beverages. If you want to go see a race in person, I can not recommend this event enough. 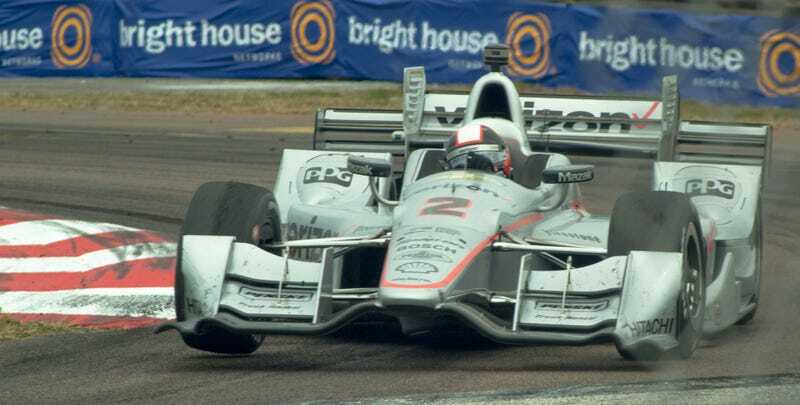 Even if IndyCar isn’t your thing (though I’ve become a regular watcher of it, it’s not even close to my favorite series to watch), it’s a sight to behold at our waterfront street circuit. Though they moved the inner fencing back a few extra feet this year, there probably isn’t another track where you can get as close to the race. If you know where to go, you can stand eight feet from a car approaching 180mph (or more) on the front straight. It’s exhilarating. Seriously, if you can, go to this race. Alongside IndyCar, the weekend also features Indy Lights, Pro Mazda, USF2000, Pirelli World Challenge, and Stadium Super Trucks. It’s a full weekend of racing. Cars hit the track at 7:30am and run until about 6pm each day. It’s bonkers. It’s nearly impossible to take it all in. I did my best and still missed a few things. Who’s the happiest little race car in the paddock? Making passes around the outside of the final turn!